Yushiro had only been put into the hospital 2 hours ago. He has had fresh stitches put into his arm and hand where all 5 stitches -three on his left hand and two on his left arm- seemed to tear for no reason. The doctors are debating about how and why it happened just outside of the room, still within earshot of Yushiro, though they don't seem to notice that he can still hear them. The doctors soon walk away from the door in separate directions. [i]Shouldn't school have let out by now? I can see the school from here, but I haven't seen a single person leave. [/i] Yushiro thinks to himself as he stares out the window of his hospital room, it has a fairly good view of Raira. Yushiro has yet to actually realize that due to the lack of blood he was fading in and out of consciousness for those 2 hours. It was hardly ten minutes ago that the school day was over. Miyuki had stayed after school talking to the school therapist. She could barely comprehend what had happened. She hadn't told the school what Yushiro had told her. She just worried for him. It bothered her deeply. A doctor walks into Yushiro's hospital room. [color=orange]"You can leave later today, it doesn't look as serious as it did when you were first brought here. "[/color] Yushiro look as the doctor as if he was lying. "What's with the act. No one else in within earshot of just talking." Yushiro says beginning to rub his left arm like it's in a dull pain. [color=orange]"I suppose it takes quite a bit to fool you. Wonder how that girl has your mind trapped. Making you feel like you love her. We both know that that does not exist. "[/color] The doctor says with a monotonous voice. "She hasn't done a thing! I do love her!" Yushiro growls at the doctor. [color=orange]"Open your eyes! She's playing with you! Don't you remember what happened to Rei, have you forgotten what we MADE happen because of that same ideal that your going by now. "[/color] The doctor snaps back. Yushiro looks saddened... Almost on the brink of tears. [color=orange]"If you can keep quite, then I can only promise you that, that may not happen. MAY. NOT. "[/color] The doctor walks out of the room. Leaving Yushiro to his thoughts. When Miyuki was released from the school she went to the hospital. She needed to see Yushiro. She wanted to make sure he was okay. When she got there she walked up to the door and looked in. "Hey...Yushiro, can I come in?" She asked. She didn't want to disturb him if he was trying to get some rest. She really needed to know that he was okay. Yushiro took a second to answer, probably deep in thought. "...Yeah, sure." Yushiro sat up in the bed. There are three chairs in the room, one in the corner to the right of the bed, so it's back was against the window. One of the other two Yushiro pulled in front of the bed, so Miyuki would have a place to sit. The last one was in the corner of the room, across from the first chair. Miyuki sat in the chair her eyes teared up. "It scared me when they rushed you off here...I just....Yushiro..." She grabbed the side of the bed. She felt so odd. It bothered her greatly. "I'm okay, I'm getting out later today." Yushiro smiled, but the smiling face was soon replaced with a very serious one. "Did you tell anyone..?" The tone in Yushiro's voice made it sound like he was no longer himself. He sounded like a different person, a highly serious one. Miyuki shook her head. "No. They asked but I didn't say anything." Miyuki whispered not wanting anyone to hear them talking. It scared her. What if they were listening to them? She wanted to keep Yushiro safe. Yushiro sighed in relief. "Thank you. Do you remember-" Yushiro stopped himself, he knew that he couldn't say anything to her... If Yagiri Pharmaceutical has the ability to cause a car crash just to keep one person silent, what would they do to Miyuki... Yushiro didn't want to risk it. Yushiro laugh off the rest of what he was going to say. "I'm sure I'm ok to leave now." Miyuki nodded. "You should get dressed soon and then we can go." Miyuki smiled happily. She wanted to hear what he was going to say but knew it was most likely better for her not to to ask. "Yeah, good idea. My clothes are in the closet." Yushiro didn't exactly want to be a bother or anything, but considering he was only in a normal hospital robe and explanation as to why he didn't get his own clothes isn't exactly needed. Yushiro pointed to the other door in the room. It's clearly the closet he was talking about. 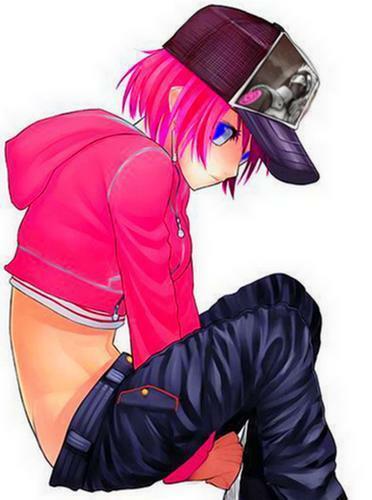 Miyuki grabbed the clothes and handed them to Yushiro. She was unsure if she should just leave the room or turn around, so she just stood there oddly. She didn't want to sstay there abd eem like a pervert but she didn't want to leave and worry him. "Thanks." Yushiro doesn't seem to mind Miyuki being in the room. He put his pants on under the sheets of the hospital bed and then put on his shirt. The left arm of both Yushiros school uniform shirt and jacket still had the blood stain on them. After that he stepped out of the bed and put his shoes on. Yushiro looked at his left arm for a moment with a sad look, then he looked back at Miyuki and smiled. The doctor that was in Yushiro's room earlier walks in. [color=orange]"Seems like your going to leave. At least let me bandage the stitches first. "[/color] The doctor pulls out a roll of the bandages. Yushiro sits down back on the bed and brings up his sleeve to his shoulder, revealing the two other stitches on his arm. One of them is close to the shoulder, the other one is farther down, near the elbow. The doctor wraps the bandages where the stitches are, leaving no visual of them. The doctor then puts some of the bandages around Yushiro's neck, as if there were more stitches there. When the doctor finishes Yushiro stands again. [color=orange]"There, now you two should get going. "[/color] The doctor said the word 'two' in a sour voice, as if he hated it. "Yeah, we should be going." Yushiro exited the room. Miyuki followed Yushiro like a puppy dog, smiling happily. "I don't think he likes me much..." She said in a somewhat sad tone. She didn't understand why but had an idea that it had to do with Yushiro's 'harmless' cuts. Miyuki sighed and took his good arm. "I don't think it's that" Yushiro says trying to lift Miyuki's spirits. Yushiro smiled. "There's something going on in the park in south Ikebukuro tomorrow. You want to go there after school?" There was supposed to be a festival in the park tomorrow. It was sort of like a good luck festival, there have been posters for it up for a while now. "Oh! That sounds wonderful!" Miyuki's sad tone soon turned bright when Yushiro had mentioned the little festival. She would love to go! Who would know what would happen. It would be so wonderful for her. She never really got out much. "It's a date then." Yushiro laughed a little. He like being with Miyuki, it always made him seem happy. They are soon out of the hospital. "I suppose... I should be heading home. See you tomorrow?" Yushiro asked with the smile still on his face. "I guess so..." Miyuki said with a light blush on her face. She wanted to be with him until the festival. To make sure he would be safe of course. She didn't want him to be hurt anymore. She just wanted to be with him more than he could think. Her blush darkened when she thought about staying with him. She tried to mentally brush it off but it wouldn't go away. Yushiro saw the blush and laugh a little inside. He could guess what Miyuki was thinking, he couldn't be entirely sure though, and taking a shot at it might not be the best idea. He did want to see if he was right about it. "You... Want to come with me?" He wasn't sure if he was right about it or not. "Y-y-you mean to your house, right?" This is what Miyuki wanted. She wanted to stay with him, she didn't want to lose him to those people. Not again. Not ever. She didn't care what he meant and nodded. "Yes." She said a little stronger and not is a nervous tone. "My home is in Shinjuku, Aoyama." Shinjuku is another district in Tokyo. It isn't far from Ikebukuro, but even an underground train takes almost 15 minutes to get there. And Aoyama is right in the heart of Shinjuku so that adds about 5 more minutes. "Think you can make the train ride there?" Yushiro says. Miyuki nodded. "Sure. A train ride itsn't that hard." Miyuki said and smiled at Yushiro brightly. She tightened her side ponytail and then her hands rested at her sides. "Alright then." Yushiro heads to the underground train.